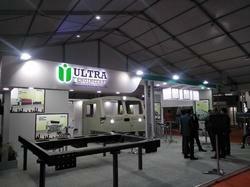 Our service range includes a wide range of exhibition stall fabrication services. Zest creative is proud to introduced ourselves as 15 years old organisation based Pune an 360 degree solution agency,expertise in stall designing,installation & conceptualization for all sort of suitable sizes PAN India leval. We have storages in all major cities of India. If intersted please contact us on marketing@zestcreative.in / +91 9145295314.